Fantasy Island! This lot has a pond around everything but the 50' wide driveway. Talk about privacy, wow! No lot like this anywhere else in Lake County. Lot is listed for almost $15,000 below assessed value. 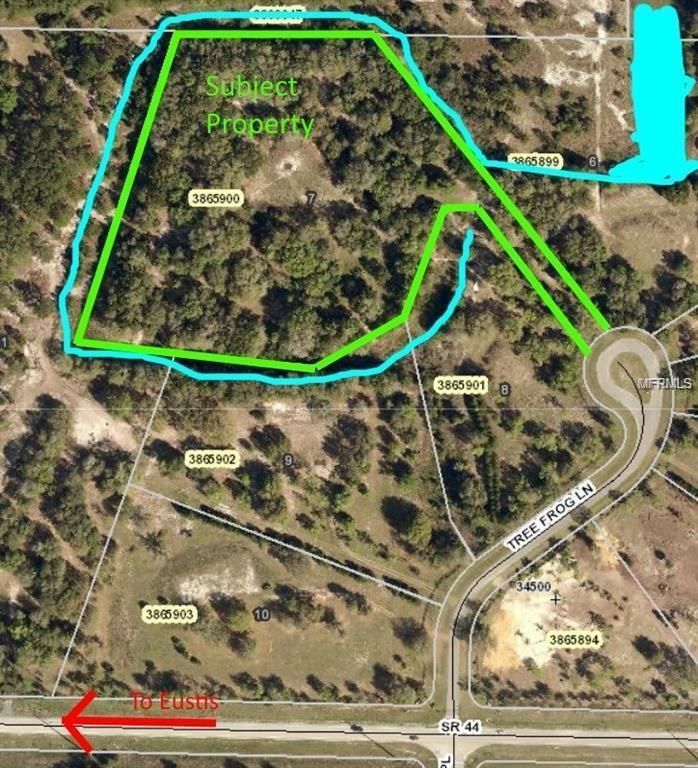 Property appraiser says 7.19 acres of non-wetlands and an additional 1.05 acres of wetlands. HOA no longer exists, but deed restrictions : no mobile homes and 2,400 sq ft minimum home size. Use your own builder and build whenever you are ready. Owner will finance 85% @ 6% interest with 30 year amortization and a 3 year balloon. Payments @ $1,249 per month. Additional Water Information There is A Man Made Pond Dug Almost Entirely Around The Perimeter Of The Property.